The material on this website is used for a course taught at Dartmouth University called, Geometry in Art and Architecture. 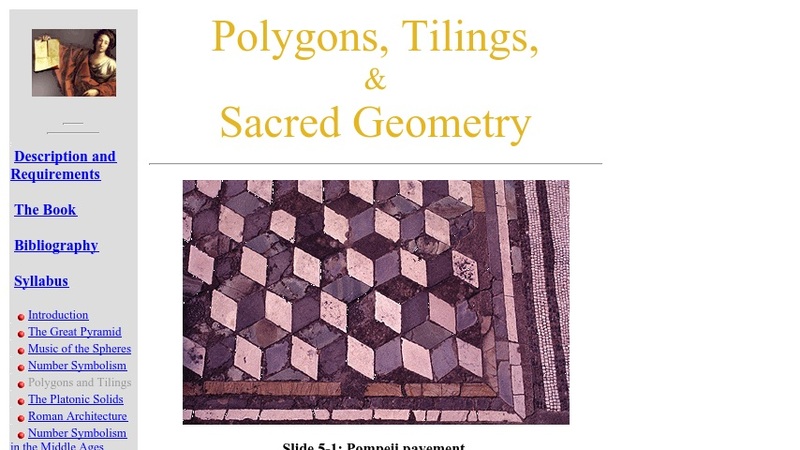 The website presents several images of "polygons, tilings & sacred geometry" along with descriptions of the geometric patterns. Although the text is obviously written for students who follow a particular course and hasn't been updated since 2002, the author provides some interesting examples of how the fields of art and mathematics overlap. Information on the author's book on the subject and bibliographical references are also posted for anyone wanting to explore this topic further.